SOF Magazine's own Col. Brown and John Donovan star! 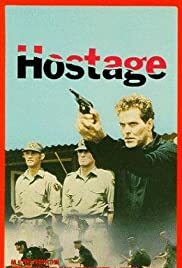 The only movie where Soldier of Fortune Magazine's very own Col. Robert K. Brown and "Boom-Boom" John Donovan appeared. This is truly a collector video - Brown's and Donovan's performance is over the top. The ditty that "Boom-Boom" sings as he and Brown make improvised explosive devices is a memorable tune. The two of them come off as "Solider's For Hire" with a love for killing commies in the jungles of Africa. The Colonel is priceless as he parody himself as he was when he was active military. The tough talking and tougher fighting Brown pulls out all the stops to up-stage Wings Houser. "Boom-Boom" Donovan is a big Teddy Bear who gets great satisfaction tossing explosive oranges at the enemy combatants.